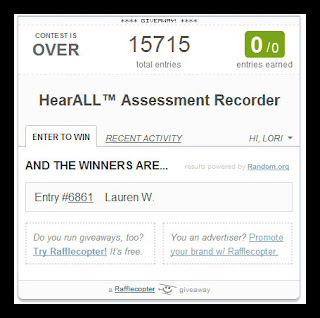 Congratulations to Lauren, from Teacher Mom of 3 for winning a HearAll Assessment Recorder from Learning Resources! They will be contacting you shortly to get your information. How many times do your students complain about having to practice their spelling words? Tons, right? Well, those days are over! I came across this amazing product that I would like to share with you. 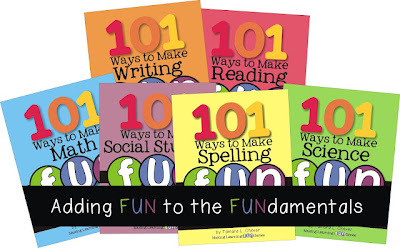 Tamara, from Teaching with TLC, has just started a new product line called Making Learning Fun. 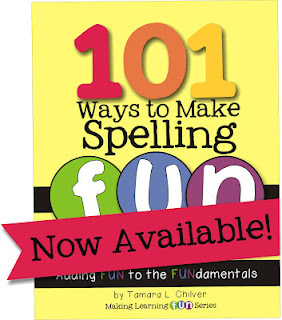 Her 101 Ways to Make Spelling fun is the first of the series to be done. Tamara includes 3 different ways you can use this product; make it into a book, store in a card file box, or store on a key ring. The 101 activities in this product will work well with all different types of learners. There are activities that involve movement and activities that integrate reading, writing, math, music, and art. They can be done in a school setting or with a home-school curriculum. Some of the activities are good for independent learning and some are great for group settings or partner work. There's a lot of variety and a lot of fun involved with these cards. Some of my favorites are Toss a Word, Hidden Words, Music Time, and Silly Sentences. What I also love is, you can use these activities for sight word and alphabet practice, as well. For me, I will use these activities for sight word practice. I am going to store them in a card file box and use the cute label she made for the outside of the box. These cards will be at a station with the necessary materials my students will need to complete the activities. I won't put them all out at once. I'll introduce several new cards each week and keep rotating them so they'll see different cards from time to time. I am very excited to use these cards and I look forward to seeing the rest of the products in Tamara's Making Learning Fun Series! If you would like to purchase these cards, please click the image below. Thanks, Tamara, for letting me review this incredibly exciting product! Lori, thanks so much for sharing about this new product. I'm heading on over to check it out now. I'm on my way to check it out as well..thanks for sharing!